Filmmaker Ben Proudfoot will be in attendance when 'Rwanda & Juliet' screens on March 18 at the Sebastopol Center for the Arts' Little Red Hen Theater, 282 S. High St., Sebastopol. 7pm. $10. For more info on screenings and tickets, visit sebastopolfilmfestival.org. RISING UP 'Rwanda & Juliet' brings Shakespeare to the fraught African nation. Entering its ninth year, the Sebastopol Documentary Film Festival is focusing on the "why" of filmmaking and film festivals, aiming to present films that showcase cinema's power to reach people from all backgrounds and to create community. 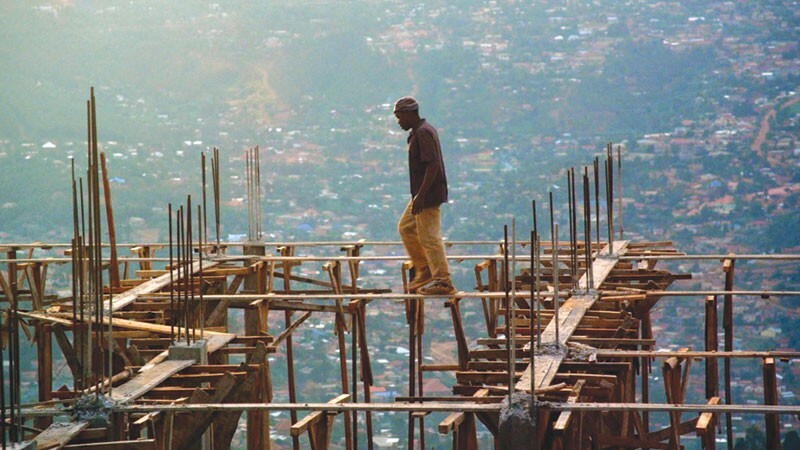 Presented by the Sebastopol Center for the Arts and taking place March 17–20 at various venues in Sebastopol and west Sonoma County, the festival is screening films from around the world, including the uplifting documentary Rwanda & Juliet. Directed by Canadian filmmaker Ben Proudfoot, Rwanda & Juliet follows Dartmouth professor emeritus Andrew Garrod, who travels to Kigali, Rwanda, to stage a production of Romeo and Juliet with Rwandan college students. The film opens with the very sobering facts about the Rwandan genocide 22 years ago, when the majority Hutu population slaughtered over 1 million people of Tutsi and moderate Hutu backgrounds. Most people in the United States remember the headlines of that terrible event, but few have any idea what Rwanda looks like today. Certainly, Garrod is naïve about the environment he steps into. His desire to offer a therapeutic experience to what he perceives as a nation of orphans is genuine, yet his awakening to the realities of Rwanda are as much a part of the film as staging the play. As Garrod begins rehearsing the production with the Rwandan cast, he envisions that the story of star-crossed lovers who belong to feuding houses will resonate with the students, though the conflicts in the play pale in comparison to the brutality of the Rwandan genocide. Soon, Garrod's professorial manner clashes with the actors, many of whom still remember the genocide. As tensions mount and the play's opening night approaches, Rwanda & Juliet goes through many of the familiar paces of such a journey, with obstacles like money problems and cast members who can't seem to memorize the lines building suspense toward the finale. In the end, the play is a small aspect of the experience. It's the Rwandan actors and their stories of perseverance that make Rwanda & Juliet an unforgettable and enlightening film. Other highlights of the festival include the opening-night screening of Hitchcock/Truffaut, based on the famous 1966 meeting and interview between legendary directors Alfred Hitchcock and Francois Truffaut that was originally published as a book of the same name. In this new film, filmmakers, including Martin Scorsese and Peter Bogdanovich, recall the impact that this meeting had on their careers.